Sage is an herb. The leaf is used to make medicine. Sage is used for digestive problems, including loss of appetite, gas (flatulence), stomach pain (gastritis), diarrhea, bloating, and heartburn. It is also used for reducing overproduction of perspiration and saliva; and for depression, memory loss, and Alzheimer's disease. Women use sage for painful menstrual periods, to correct excessive milk flow during nursing, and to reduce hot flashes during menopause. Sage is applied directly to the skin for cold sores; gum disease (gingivitis); sore mouth, throat or tongue; and swollen, painful nasal passages. 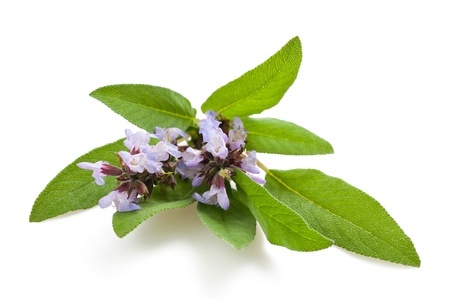 Some people inhale sage for asthma. In foods, sage is used as a commonly used spice.